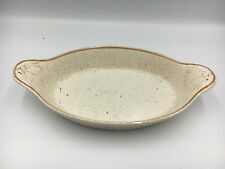 1 serving bowl in perfect condition. CHURCHILL ZARAND. A pair of plates including 1 dinner plate (approx 10.25") & 1 tea plate (6.75"). Red aztec pattern. 1st quality. As one of the world’s leading manufacturers of high quality ceramic tableware, Churchill has a long history of bringing the highest quality products to the hospitality industry. Our international presence is ever expanding. This beautifully decorated vase from Portmeirion from the Pomona range in the pattern THE RED CURRANT offered in excellent condition. Approx 5.25” vase. Postage and packaging £4.99. Please note I post Tuesday - Thursday. Broadhurst Ironstone The Constable Series 1776-1976 Plate - Red - 9.5" x 9.5"
"SPRING ON HOME FARM" PINK SOUP BOWL BY ENGLISH IRONSTONE TABLEWARE (EIT) "SALE"
BY ENGLISH IRON STONE TABLEWARE (EIT). BOWL SIZE 8 1/2". HOWEVER, WE WILL DO OUR UPMOST TO HELP WITH ANY CLAIM MADE. This beautiful rare antique octagonal Jug is from Mason’s Ironstone and painted in ORIENTAL FIGURES C:1825-35 Offered in good condition. No chips, crazing nibbles etc. Ware to pattern from use as per photos. Approx 6.5” high. 1st quality item. Please note I post Tuesday- Thursday. Postage and packaging £6.50. Please note I post Tuesday- Thursday. Set of 3 bowls in perfect condition. ROYAL TUDOR WARE COACHING TAVERNS 1828 STAFFORDSHIRE VINTAGE PLATES 10 " Mint Condition Dispatched with Royal Mail 2nd Class. Wood Burslem basestamp. Collection in person available. Vintage Staffordshire English Ironstone Tableware Plate - Red - 9.75" x 9.75"
The pattern of the plate depicts a village scene with two swans in the foreground and a repeated pattern birds and flowers going around the edge of the plate. These are a milk pourer and lidded sugar bowl depicting 17th century England from Royal Tudor ware in Ironstone. The sugar bowl is 9.5 cms from top of lid to base and the jug is 5.5cms tall. They are many and varied with wide ranging prices. Hand painted in bright red colour and realistic looking dark and pale brown wheels/ body/ handles/spout. Probably made by Sadlers of Staffordshire but no label or manufacturers stamp. Has Made in England impressed to base and painters initials. Royal Tudor Ware, Coaching Taverns, Red, Oval Platter, Plate, 12" or 30cm. The plate has a red with a hint of yellow patterned rim. DENBY POTTERS WHEEL DOUBLE HANDLED BOWLS x 4 (#201605513829) £18.99 View Item. lydae09 ( 144. O verall g ood antique condition related to age. Great addition to your collection. Spode Flemish Green Scroll Pattern Dinner Plates x 5 (#201594928433) £23.99 View Item. ). Staffordshire Tableware Oakwood Bowls 23cms Floral Red Trim. Good used condition. Please see the pictures. There are a few scratches in the middle from use but generally they are in good condition. From a smoke and pet free home. Postage to mainland UK or Ebay Global Shipping Programme only. Tea Cup and Saucer. The saucer 5 1/2" across. ROYAL TUDOR WARE RED 'COACHING TAVERNS' SET FOR ONE .4 ITEMS. Marks: Marked on bottom in red under glaze with man in a hat holding a banner saying "Woods Burslem England" and having the word "WATTEAU" above his head and the words "Enoch 1784 Ralph 1750" at his shoulders. LARGE WASH BASIN AND JUG SET. JUG 20CMS MAX BODY DIA X 29CMS HIGH TO TOP OF HANDLE. LOVELY BOLD DESIGN AND COLOURS! BOWL 39CMS TOP DIA X 10CMS HIGH. GREAT ADDITION TO YOUR COLLECTION. Made in England by Royal Tunstall. Red rose pattern. The stove set includes the stove, which holds 3 t-lights (which are also supplied to get you going and last for ages! )., tweezers, a spatula and firing stand with handle and a couple of different blank holders. Very close inspection and a little disruption to the pattern. The pattern is more red than in the photo. CANTERBURY PATTERN ,HAND PAINTED FLOWERS. IN GREEN AND GOLD. Perfect RED TRANSFERE WARE COFFEE POT. I am selling a beautiful, excellent condition Biltons Ltd berry coloured country scene large plate that has no chips or cracks. Highly collectable and I would like it to go to a good home as my mum is moving abroad and leaving all of them in the house to me. I wish I had the space to keep them as it is beautiful but I know someone will make better use. Will be very well securely packaged for transport. If you have any questions please don't hesitate to contact me! Pretty Staffordshire jug, previously owned but in generally good condition. THOS HUGHES & SON LTD. Star shape mark in glaze to reverse of plate, left of backstamp, but not on front - see photos 7 and 8. Very fine clear glaze crazing - see photos. UNDER GLAZE PRINT. Image of a shield with a shield with a lion inside it and over the top of it a crown.